Nowadays, I no longer feel empty. What was missing from my life was the Sabbath truth. My heart is filled with joy in Jesus! The first Adventist missionary to Korea, Son Heung Cho, was actually a Korean who had been converted while living in Japan in 1904. The Korean Union Conference oversees the church’s work in South Korea and is comprised of the East Central Korean, Middlewest Korean, Southeast Korean, Southwest Korean, and West Central Korean conferences. Ask a woman to read this first-person testimony. God has helped me plant churches in South Korea for years. I would preach to a small group; it would grow to about 40 people and become a congregation; and then God would lead me to start a new church elsewhere. But even as I was doing God’s work, I felt something was missing from my heart. Joy filled me while I preached or participated in revival meetings, but it was followed by a deep emptiness afterward. Hoping to fill that emptiness, I studied theology and became a full-time pastor just like my husband. But I still felt empty. Then one day a Seventh-day Adventist literature evangelist showed up at our home. She gave us some literature, and my husband began attending an Adventist church. At first I thought he was going to another Sunday church, and I found it odd that he was gone on Saturdays. Once while cleaning his office, I found an Adventist church bulletin and realized what he was doing. After hearing those words, I secretly began to read the Adventist books that my husband had lying around the house. We had received several Ellen White books from the literature evangelist. Reading the books hurt my pride as a pastor, so I read them whenever my husband wasn’t home. I quickly returned the books to the bookshelf when I heard my husband’s car pull up outside. I wanted to say, “This is a cult.” But I found myself saying, “No, this is not a cult. This church has the truth, including the biblical Sabbath.” I had no idea why I said that. The Chinese-Korean woman was impressed. “In that case, I want to come to your church with my daughter,” she said. I later found out that the Chinese-Korean woman was baptized. She became my first convert to the Adventist Church even though I wasn’t a member! After the health seminars, I attended a Sabbath service for the first time. I wanted to find something—anything—that would allow me to declare that the church was a cult. But I couldn’t find anything. I was surprised to see that Adventists follow the Bible closely. I wanted to be baptized, but I had been baptized with my husband years earlier. I prayed, “Why do I need to do this again?” God seemed to reply, “You need to figure this out for yourself.” Finally, I decided I should be baptized again because I had sinned by not keeping the Sabbath. Around that time, an Adventist church member was visiting our home on a Sabbath afternoon. As we spoke, he told my husband and me that we should be baptized. My husband said he would pray about the matter, but I didn’t see any reason to pray anymore. I suggested that we get baptized together in February 2017—and we were! My dream now is for my seven siblings to accept the Sabbath. I also want to travel into the deep countryside where people don’t know the Adventist message and teach them about the Sabbath. Please pray for us and our hope to plant Adventist churches. 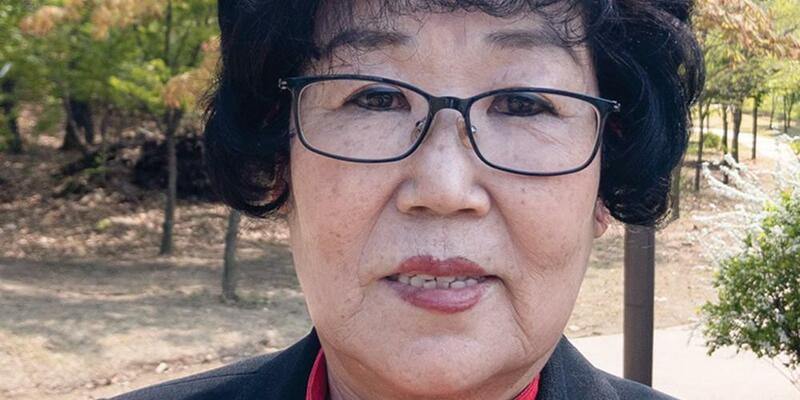 Soon-Ae Byun [pronounced: soon-a p-yun], 64, served as a pastor with a Sunday-keeping denomination for 15 years.